Starting this April we will be launching our “We Give Wednesday” program. In April, we will be collecting non-perishable food items for our local Delano Food Shelf. 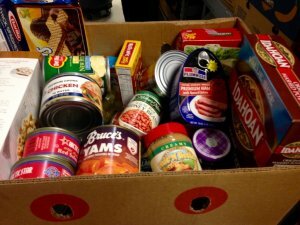 Help us gather food to support our local families! Bring in a non-perishable donation and receive a $1 off a pint!